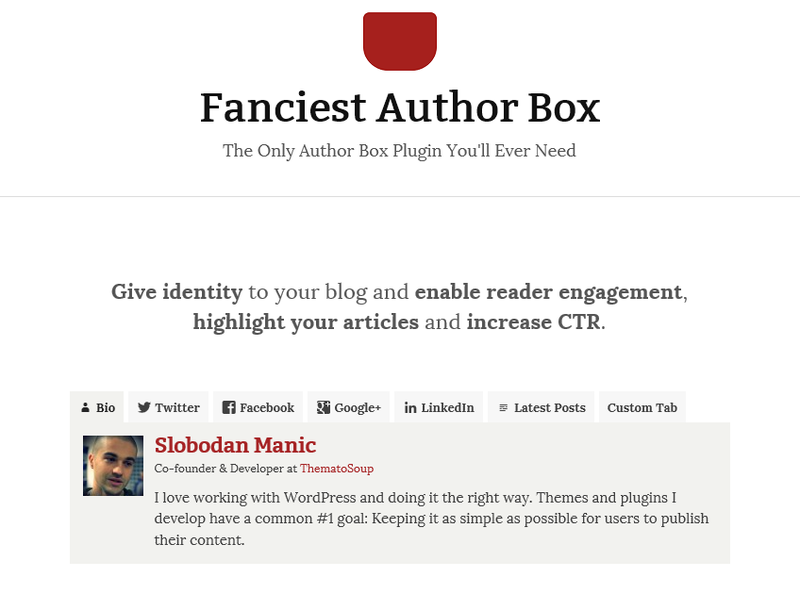 Fanciest Author Box is the best author bio plugin for WordPress. It’s developed and fully supported by ThematoSoup. 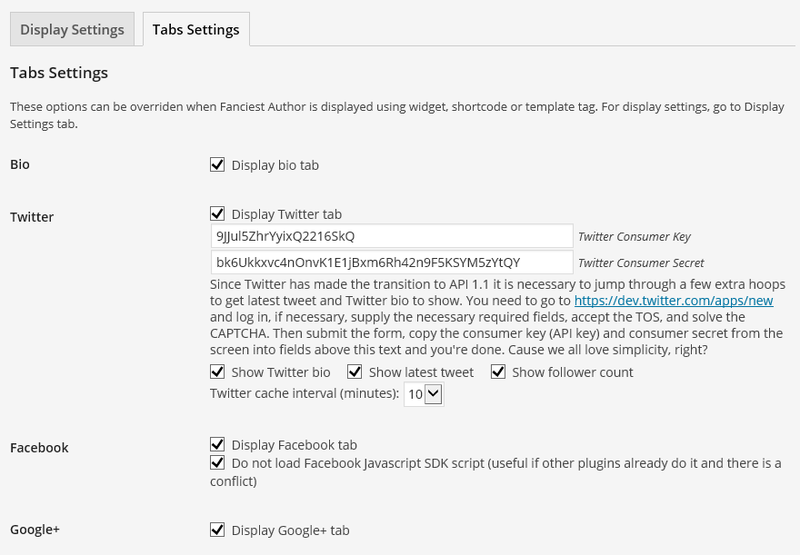 Its long list of features gives identity to your single or multi-author WordPress blog. 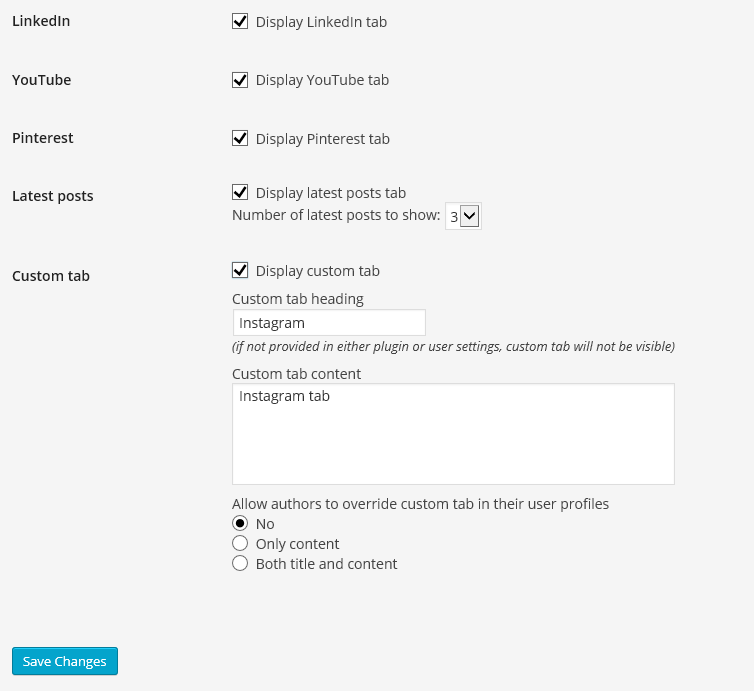 Social widgets allow you to present authors in a more personal manner and are ideal for guest bloggers. 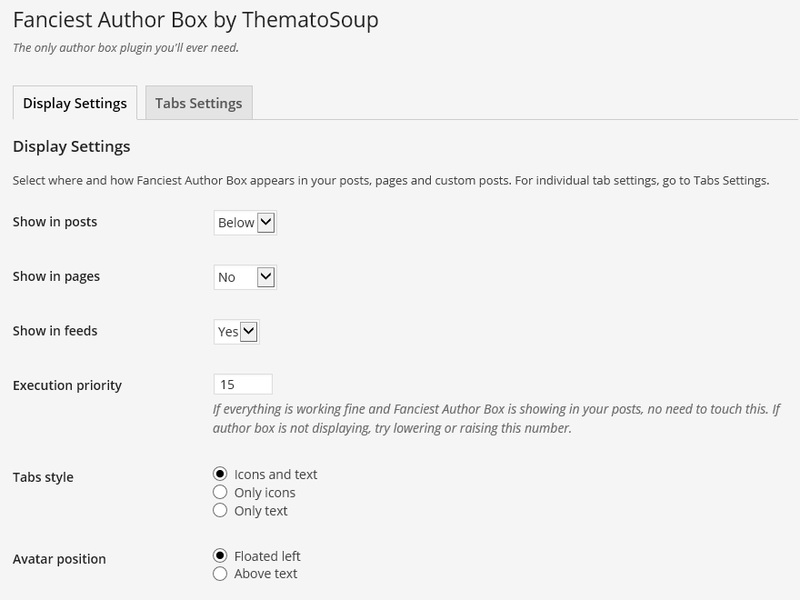 note: Fanciest Author Box is not compatible with BuddyPress. note: Once installed, you’ll find Fanciest Author Box User Details under Users > Your Profile. This WordPress plugin is easy to use (as a widget, shortcode or template tag) and customize to your individual needs – and because it’s so nice, you may even persuade more people to become authors! It was amazingly easy to install and configure. Now, my writers can get more of the attention they deserve. Fanciest Author Box totally exceeded with both its feature set and customizability. I wanted to take a minute to say that this is a great plugin and that you should definitely buy it. Not only is it well coded and works well, but if you have problems the author helps and replies to problems very quickly. 5 stars from me. Great Job! I got this after downloading another author box plugin that had a vulnerable code. Great code, intuitive and efficient and a big up to you for using apply filters so other plugins can manipulate the order of the tabs. Great work, good clean code. 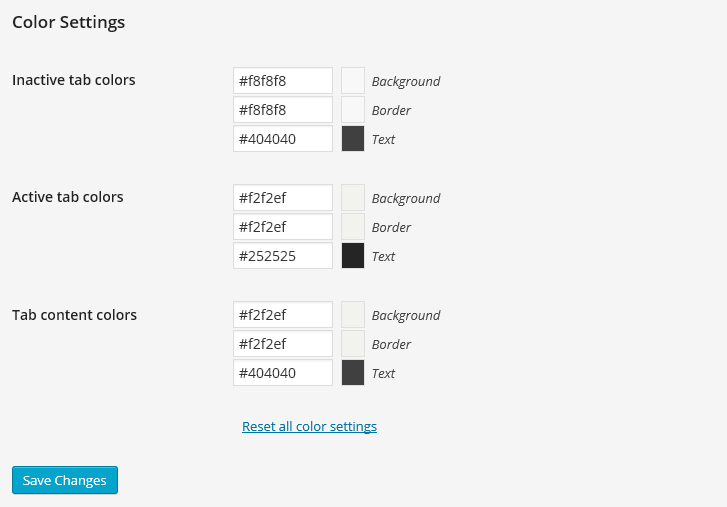 Huge thanks to all of you who suggested improvements and made the plugin even better.